The girl who stole the name Pippi Langstrumpf, after receiving Drexciyana enlightenment in 2003, is the visual artist and performer Chiara Fumai. Inspired by the irony of italodisco and the more obscure side of techno, Langstrumpf carefully selects pieces based on synthetic atmospheres mixed with old school, acid, terror and dirty beats. Member of Electric Indigo’s Female Pressure from 2005, she has fired the souls of the most disparate venues: squats, parties, clubs, raves, galleries, and art centers in Europe and China. 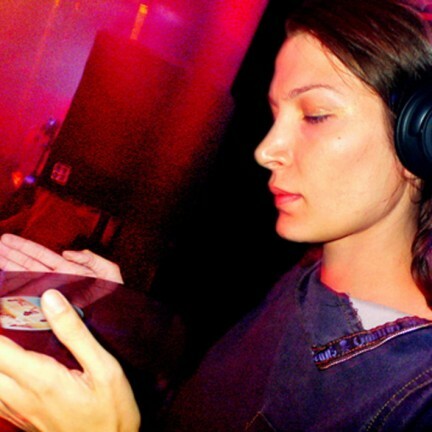 In 2006 Langstrumpf was the first Italian dj to play in China (Impulse Festival) and in 2007 was selected by the Red Bull Music Academy in Toronto, where she consolidated the tricks of the production trade under the guidance of Marco Passarani and Theo Parrish. In 2008 she founded the metal dance label Dischi Bellini, where she published her digital manifesto The Church of Pippi Langstrumpf, and is presently releasing material by Nakion, Fratelli Riviera, Ultron, Club Silencio and Pippi herself. Presently based in Milan, she has never been to Ibiza.